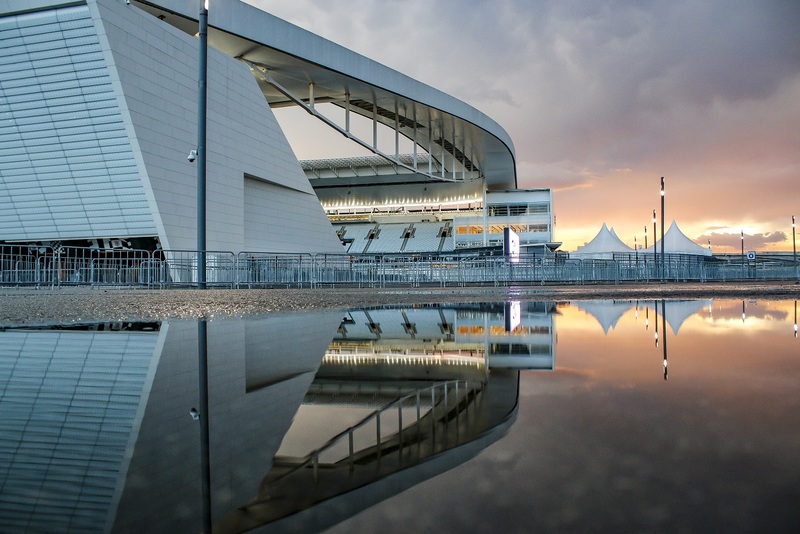 In this latest industry interview, SVB’s Katie McIntyre speaks with Thiago De Rose, Head of Strategic Planning at Arena Corinthians. 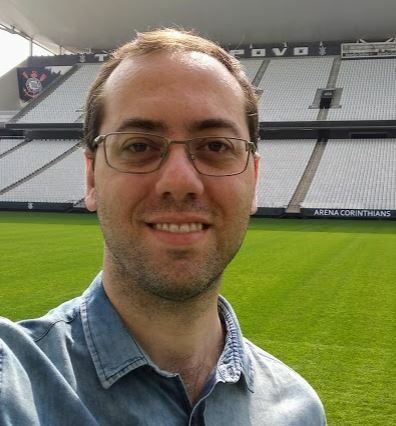 Thiago, you are Head of Strategic Planning at Arena Corinthians, what are your main challenges and how do you overcome them? And can you highlight some of your most memorable career achievements to date? Arena Corinthians is a pretty new stadium, constructed in the same timeframe as many other stadiums in Brazil, because of the 2014 FIFA World Cup Brazil™. We’ve had a long period without new stadiums in Brazil, so the main challenge was that we had no reference in our domestic market on several key points that help build a business plan from scratch, such as: pricing of commercial properties and hospitality areas, costs of operations, specialised personnel, among others. Also, we don’t have a hospitality culture in Brazil, it is very hard to convince companies that it would be cool to rent a suite so they can bring their executives, clients and prospects to do business while they watch a football match and enjoy some nice food and drinks. After 3 years and a half of operations, I believe our main challenges are to educate the market and also to transform the stadium into a touristic destination, bringing people every day, match day or non-matchday. Talking about my career, I had the opportunity of working with FIFA as Ticketing Manager for the 2014 FIFA World Cup Brazil™. Luckily, among many FIFA Ticketing Managers, I was selected to be the Venue Manager of Maracanã during the event. So, I consider this to be the highest point in my career to date; having the responsibility of overseeing the whole ticketing and access control for the FIFA World Cup Final. This is a match where people dream their whole life of being a part of it, and in some way, I was managing this process of people receiving their tickets, getting inside the stadium, finding their seats… it was a real pleasure to see how people were happy inside the stadium and that I was kind of responsible for it. In addition to your role as Ticketing Manager for the 2014 FIFA World Cup Brazil™, during which you were also Venue Manager for Maracanã, you have previously worked on the FIFA Confederations Cup 2013. Can you tell us more about these experiences and the key lessons learnt? 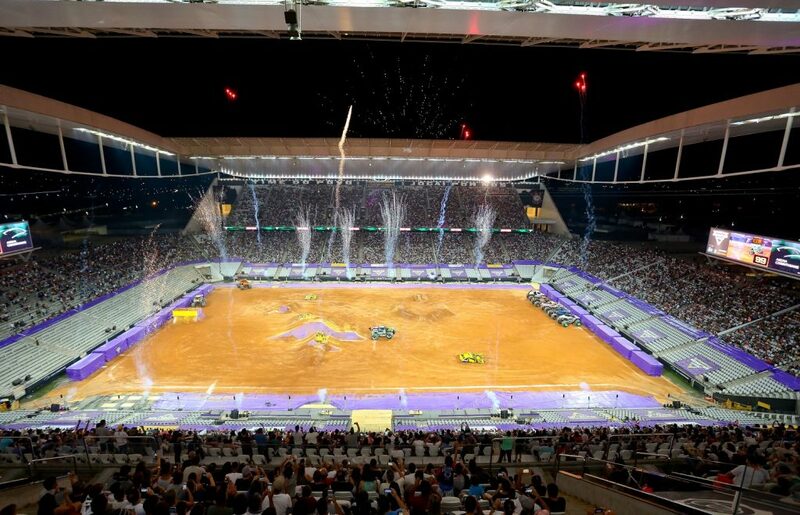 It was the first time in many years that a huge international event was realised in Brazil, and because of that, all of a sudden we had 12 new (or refurbished) stadiums in the country. It was a fantastic opportunity and also a bright future for all of us that work within sports management in the country. FIFA set up an office in Brazil, with around 40 people (not to mention the LOC and its city branches) and I was part of this small team. For me, it was the first time I had a job experience in an international environment; more like a corporation than a football club (where I used to work before), so this was very important to grow my skills, both technical and also personal. When it comes closer to the event itself, like 40 days before the first match, we entered into a kind of “Event Mode”, where everybody was spread around the country, living in a specific hotel in each city, and also receiving many colleagues coming from Zurich. In the venues, we acted as only one team, almost like a family, where every area must connect to each other to make things work. Throw in the middle of this, people coming from several different countries, plus Brazilians not used to organising such events, and you have a huge challenge! I believe “teamwork” would be my word of choice for what I learned, or improved, in this experience. 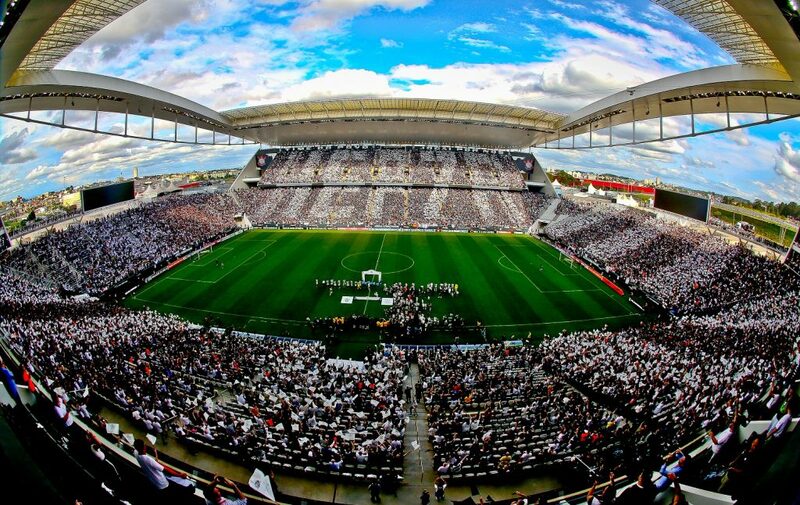 Arena Corinthians was the host stadium for the 2014 FIFA World Cup Brazil™ opening match, and is home of the 2015 and 2017 Brazilian League champions, Corinthians. It was the top ranked stadium for average attendance and income in Brazil since it opened. Can you tell us how you achieved this? Corinthians has the second largest fanbase in Brazil, with around 25 million supporters. Historically, we lead the league in average attendance as our fans are known to be very loyal to the club. However, the new stadium boosted a huge rise and we were able to extend our lead to new levels. Just to contextualise this, since the ’50s, Corinthians used to play in a city-owned stadium called Pacaembu (it was used in the FIFA World Cup 1950), which has a capacity of around 40,000 seats. It’s an old stadium, with absolutely no hospitality facilities, bad food options, dirty bathrooms and all this stuff. 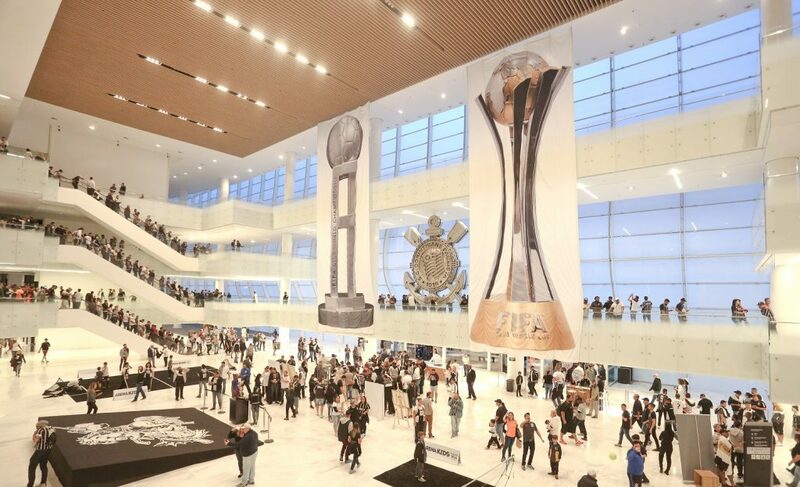 Corinthians fans always dreamed about having their own home and then we have Arena Corinthians opening in 2014, with a capacity of 47,000 seats. Our average since it opened is around 35,000 people, whereas in Pacaembu we never passed the 30,000 mark at any point this century. I believe many factors contributed to bringing more fans to the new stadium, the most important ones being: improved security, fantastic facilities (such as bathrooms and food concessions); its only a 10-minute walk from two subway/train stations; and we now benefit from a “smart” ticket pricing, where we are learning fan behaviour every day and making adjustments. Today, we can say that we sell 95% of our tickets online and people can access the stadium with printed vouchers, their mobile/cell phones or their membership cards. This is huge in Brazil, very few teams have all of this technology available for ticketing, and it really makes all the difference. As part of your job remit, you compile the pricing strategies for Corinthians’ match tickets and premium products (including business seats, skyboxes, etc.). How do you set about this task and what are the key drivers? It’s two very different types of products. In terms of ticket prices, we have a lot of historical data that can help us to get the pricing right. At the beginning of each year, we communicate our ticketing policy and the variations are made through discounts, so we have a fixed face value for each sector during the whole season. Depending on the importance and attractiveness of the match, we give higher or lower discounts, and also set some packages, the most usual being a 3-match package, where fans can avail of progressive discounts. Every semester we conduct surveys with our fans, so we get to know, among other things, if the price is okay and also their preferences on the view of the field, for instance. Last year, based on survey results, we split some sectors in the stadium and started to charge more on central locations, for example. Talking about premium products, it’s hard to have benchmarks in Brazil because few stadiums have really nice premium seat programs. So we also base this on our regular tickets and add value to reflect the additional services they have, such as food and drinks, better location, amenities, etc. Also, we get feedback from the companies and clients all the time to make adjustments. I can tell you that today our suite rental price for yearly contracts is much lower than it was when we launched in 2014, for example. 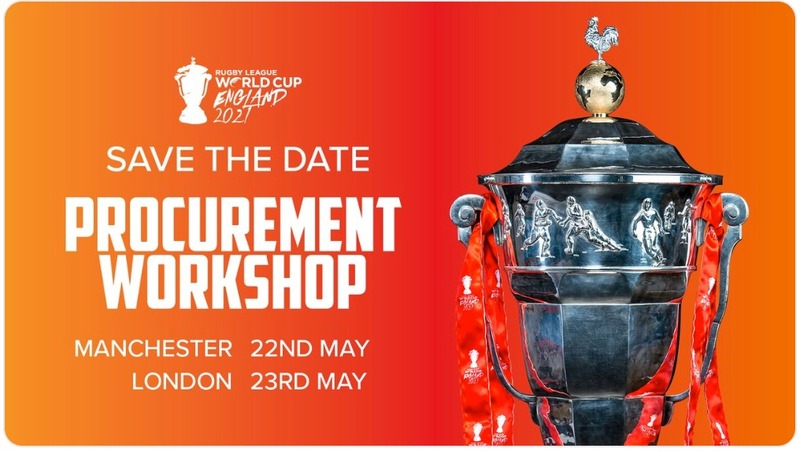 You also manage the pricing strategy for the club’s membership program (which boasts some 130k+ members), are responsible for the stadium’s business plan (2015-2025), and utilise Business Intelligence tools to analyse historic date and identify patterns to guide future actions. Can you tell us more about this? The stadium is property of the club, so we have a huge responsibility as it is a very important revenue stream for Corinthians. However, the club did not directly invest in the building of the stadium and we had some city incentives and also bank money. Our first duty here is to return the money to our investors, so we have to be very accurate on the Business Plan, as all the revenue generated by the stadium is used to repay our debts. To refine our numbers and make it as accurate as possible, we use many different data sources and some solutions to help us identify trends and behaviours. In summary, as long as we have more data, the more accurate our numbers will be for the future. Fan engagement and the fan experience are playing an ever more significant role, with millennials expecting connectivity at the very least. How are you tackling this? It’s something that is one of our top priorities. We do not have full Wi-Fi coverage in the stadium at present, and, as this is a very expensive implementation, we have a plan to do it in phases, starting in the premium areas. 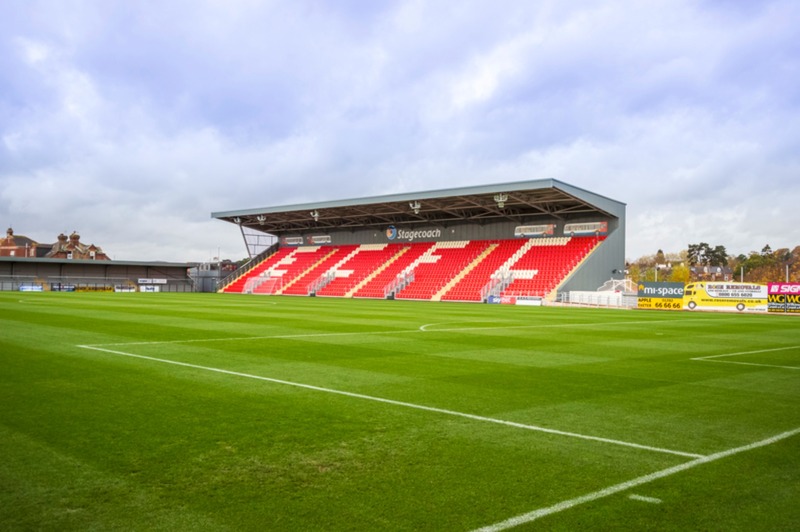 We have a very active social media environment and I can say that for the time being, we are the top Instagram stadium profile in the world, with over 600,000 followers. Compared to other stadiums in Brazil, however, we have very good technology assets, such as big screens and LED boards, and these will allow us to do something really different from other teams when it comes to the fan experience and engagement. What developments can we expect to see at Arena Corinthians or are there any exciting initiatives you would like to share with us? Our plan is to transform the stadium into an entertainment centre and we have exciting news in regards to this for 2018. From May, we will have a Corinthians-themed restaurant open 7 days a week and a rooftop gym, so the local community can come to train, while they enjoy a fantastic view of the stadium and also of the city. To me, however, the most crazy thing is that in the first semester we’ll have a permanent zipline installed, going from the West to the East building, above the North sector and the big screen. On the long term side, we are talking to a technology partner about incorporating some artificial intelligence features into the stadium, such as chatbots, an automated concierge, tour and museum information, etc. How do you see the Premium Seat sector evolving over the next 5-10 years, when millennials will become the key consumers? I believe in Brazil we still have a long way to go. Here, we are still many steps behind Europe and the USA, as companies still have to be educated on what are the advantages of using a Premium Seat or hospitality services. Most of our suites, for example, are sold to fans that have more money and want to have an exclusive experience. 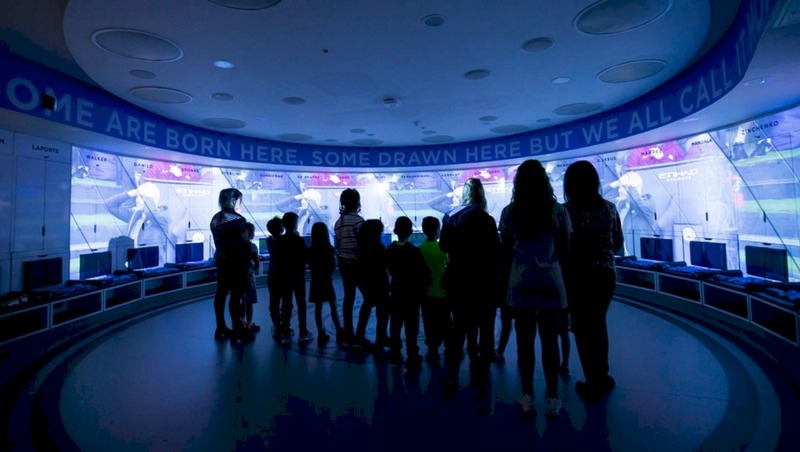 What we try to do is to ‘lure’ them with priceless moments, such as visits to the warmup room, meet and greet with players after the match, participation in the “Halftime Challenge” (where they can shoot a penalty or from midfield during halftime) and their favourite, the “Arena Challenge”, where every partner company or suite holder can assemble a team to play a tournament on our pitch after the end of the season. This way we can touch their hearts and show them that they’ll never find these kinds of things in any other place. Finally, on the more technological side, we will definately have Wi-Fi connectivity very soon in the Premium Seat areas and more services and interaction possibilities with our customers. We would like to say a huge thank you to Thiago for taking the time to do this interview. #SportsVenueBusiness – keeping you in the know!